This privacy statement discloses the privacy practices for the Anchor Brewing website, www.anchorbrewing.com. 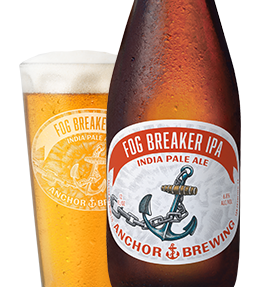 Anchor Brewing is the sole owner of the information collected on this site. We will not sell, share or rent this information to others in ways different from what is disclosed in this statement. We use IP addresses to administer the site, track user movement, and gather demographic information for aggregate use. IP addresses are not linked to identify any individual person. This website takes every precaution to protect users' information. All online transactions are handled with industry-standard Secure Sockets Layer (SSL) encryption. When a user enters a credit card number and personal information into the order form, it is transmitted across the Internet in an encrypted (scrambled) form, then decoded when it gets to us. This provides a secure shopping environment for you, our valued customer. Anchor Brewing respects your privacy. We'll use your Email address only when we are confirming your Internet order, or notifying you of changes/updates to the site or other news. We assure you, we do not make our Email list or mailing list available to other companies. To properly fulfill our obligation to customers, we may supplement this site with information from third-party sources.